Once in a while you need to be a star! 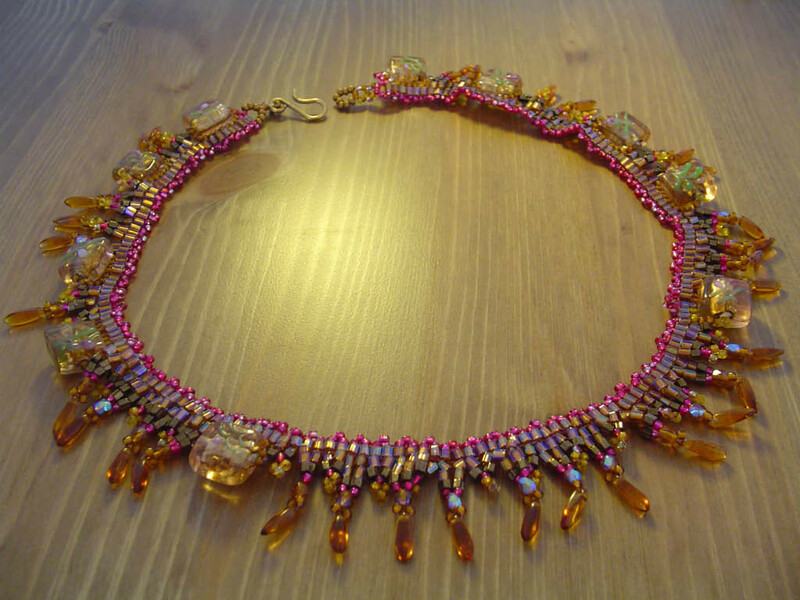 Make yourself pretty, go out and enjoy your self! 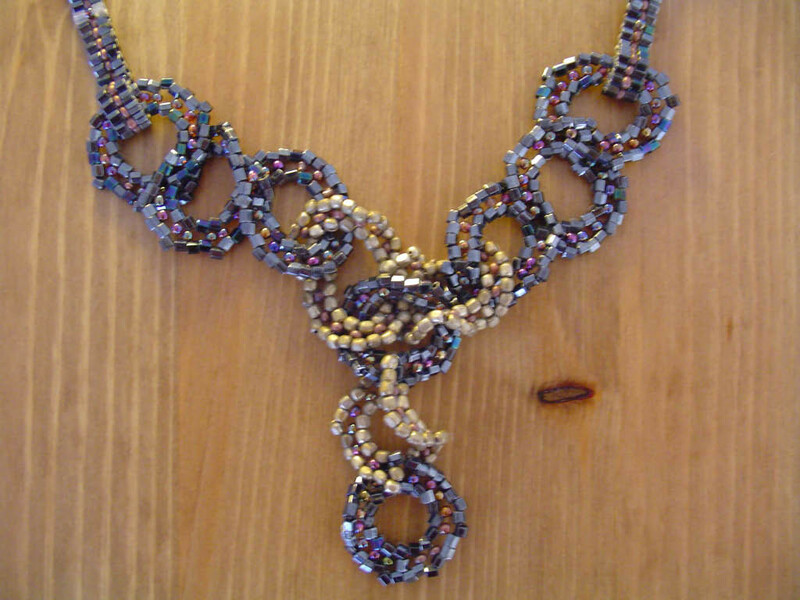 Show off your uniqueness with a one-of-a-kind sparkling piece of jewelry. 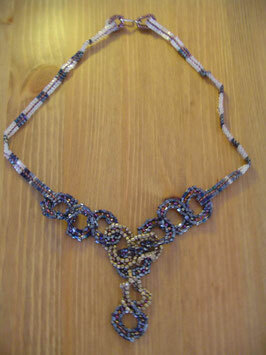 +-33cm; dark hematite coloured hexagone beads, transparent hexagone beads, metallic rounded hexagone beads, seed beads. 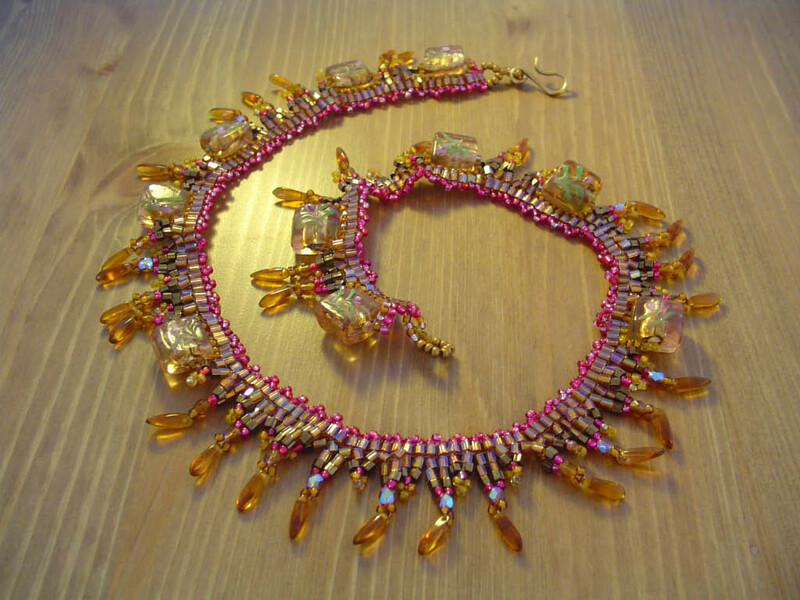 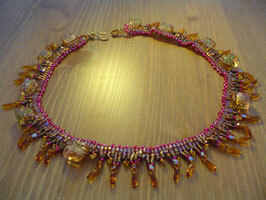 +-25 cm; bronze hexagones, fucsia seed beads, amber glass drops, 10 lampwork venetian glass beads.